Expanded for 2015! 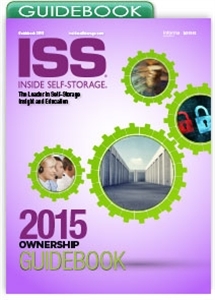 This Guidebook is designed to help self-storage owners maximize their investment. It covers revenue management, marketing, staffing, outsourcing, security, technology, insurance and more. Whether you're an in-the-trenches, hands-on self-storage owner or more removed from the day-to-day aspects of your business, one thing is for certain: You have a vested interest in the financial performance of your property. This Guidebook provides guidance to help single- and multi-facility owners take control of and maximize their investment. It covers money management, business performance, human re-sources, risk management, marketing, outsourcing, technology and more. The content is designed to help you make more money and run a more efficient operation. To view other guidebooks in the 2015 series, click here.